Admission process for undergraduate courses at University of Delhi closed on the 15th June 2015. Varsity invited applications for around 54000 seats for the upcoming session of 2015-16 and application forms were accepted both online and offline. Total registrations received by students of all categories via both the modes were recorded at 291817. This data excludes the applicants for BMS/BBA/BBE and B.El.Ed. Programme. Find out our report for the details on individual categories, here. Office of Dean of Students’ Welfare released the compiled report for the statistics on Admission today on the 19th June 2015. According to the statistics, 122020 female candidates have applied in comparison to 169731 male students. 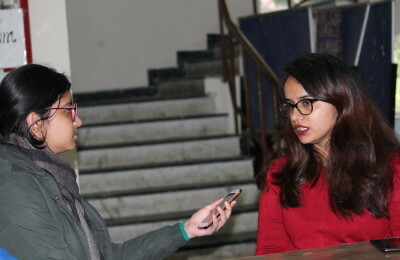 ‘Other’ category for third gender students was introduced for the first time in undergraduate admission applications and 66 students have applied under the same. For the percentage-wise statistics, around 36000 applicants have secured 90% or above in their Class 12 Board Examinations. Central Board of Secondary Education (CBSE) has given University of Delhi the maximum number of aspirants with the number standing at 218872. Other applicants are from ISC or other state boards like UP, Bihar, Rajasthan etc.